This post is sponsored by Dove. Thank you for supporting the brands who support this blog. I’ll be the first to say that I don’t always put my own self-care first! Being a single mom and business owner, sometimes it feels impossible to make time for myself. I try to keep up a good skincare routine year-round, but some days I’m lucky if I get around to washing my face - let alone make it through a 10-step skincare regimen! And even though I try to wake up 30 minutes before Aimery every day, the snooze button normally takes priority over my morning skincare routine. This winter, I’ve really been trying to make more time for myself, especially my skin! My skin always gets super dry in the winter, so I’m constantly trying to find new ways to keep my skin feeling soft and hydrated. Although it’s important to practice self-care all year round, during the winter time is especially important since the climate change can effects our skin negatively! Keep reading for three ways to show your skin self-care this winter. When was the last time you drank a glass of water? If you had to think about it, odds are you aren’t drinking enough water! Drinking water is important all year-round, not just during the summer! Water is important for your overall health and for keeping your skin clear and hydrated. The cold climate and heated indoors causes your skin to lose moisture, however water is an easy way to keep your skin hydrated! One way to make sure you are drinking enough water is to drink half your body weight in ounces every day. It may sound like a lot of water, but if you are sipping on it throughout the day, it isn’t hard to keep up with at all! UV rays don’t just go away in the summer, they affect your skin all year-round! Finding a good moisturizer with SPF is a must - even in the winter! Wearing SPF year-round prevents premature aging and keeps your skin at it’s best! Arguably, the most important thing you can do for your skin is to use a gentle body wash! Especially during the winter months, you need a body wash that will be gentle on your skin while keeping it hydrated. I use Dove Deep Moisture Body Wash, because it’s dermatologist recommended and made with 100% gentle cleansers. It’s even free of sulfates and pH balanced! 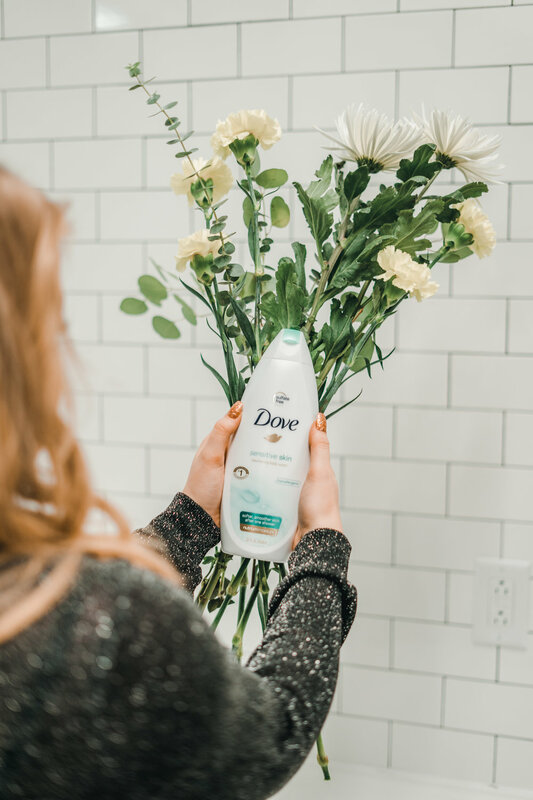 Using Dove Body Wash is great, because it cleanses while being gentle to the skin’s microbiome. Microbiome is the skin’s living protective layer, and it serves an important role in keeping skin healthy, moisturized, and resilient. No body wash is gentler to skin than Dove! 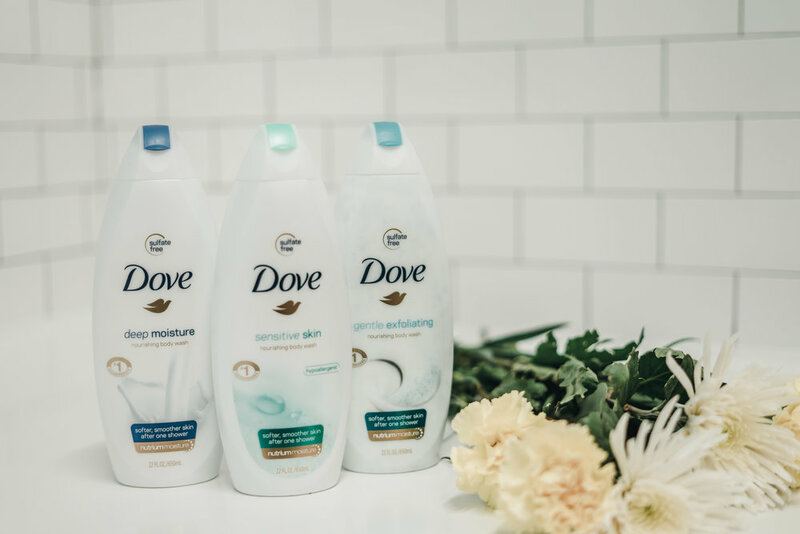 Pick up Dove Body Wash at mass, food and drug retailers nationwide.